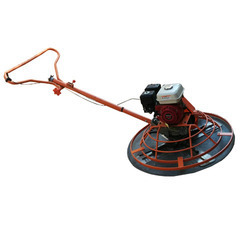 We are a leading Manufacturer of cwt40 power trowel, cwd 40 concrete power trowel and frt 36 ride on trowel from New Delhi, India. As a client-centric firm, we are engaged in manufacturing and exporting supreme quality Power Trowel. This is used by construction companies and contractors to apply a smooth finish to concrete slabs. It is also used to create a level, smooth finish on a large, flat area of concrete, such as an interior floor, or a poured patio slab for a deck. In accordance with set industry norms, this is manufactured using optimum quality materials. Customers can avail this Power Trowel from us at pocket-friendly rates. Matching to the huge market demands, we are involved in offering the best quality of CWD 40 Concrete Power Trowel. Our entire Power Trowel ranges have a long service life and increase the satisfaction level of the user. Our entire Power Trowel ranges are flawlessly finished in every aspect. To cater the exact needs of our customers, we are instrumental in offering an excellent quality array of Ride On Trowel. 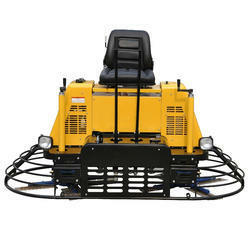 This is best for the construction of floors of significant size. The troweling pattern of overlapping machine intersects one another and is especially suited for trowel finishing, but you can't install float pans on them. It is the most powerful and dependable machines in the industry. 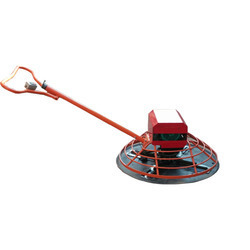 In addition, this Ride On Trowel can be purchased from us at highly reasonable prices.